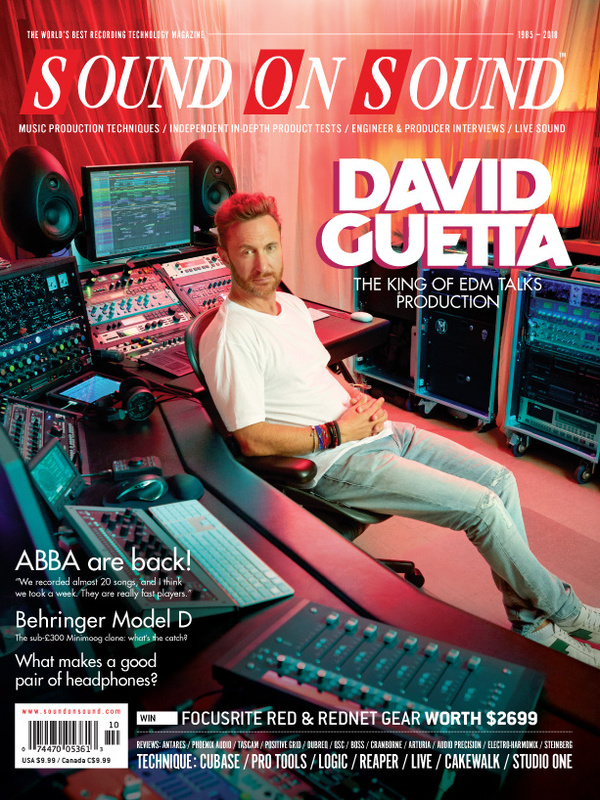 Techniques: David Guetta: DJ & Producer (Cover), Designing & Measuring Reference Headphones, Inside Track: ABBA, Com Truise On Tour, Fred Rister: Songwriter & Producer. Reviews: Behringer Model D, Antares Auto‑Tune Pro, Arturia DrumBrute Impact, Sensel Morph, Apogee Symphony I/O MkII 2x6SE, PreSonus FaderPort. Auto-Tune keeps evolving, and the latest version incorporates both its best pitch-correction ever and a nod to its past. The 2GB Vintage Vocals library offers three different female singers, a range of performance articulations and, of course, the same ‘retro’ sonic target. iZotope’s one-stop shop for processed vocal sounds has acquired a few new aisles! The Con Moto Cellos samples are taken from actual performances, the idea being to give a sense of naturalistic movement with dynamic and tonal consistency to played phrases. Ever wanted to tailor your own software amp in a plug-in, and pack the result into a box to take on stage with a real speaker? One year and a major firmware update later, we take a second look at QSC’s flagship digital console. Sonarworks software has been widely lauded for its ability to correct the sound of headphones. Can it do the same for monitors? This new EZX pack was created from existing recordings made for Superior Drummer 3 Rock Foundry — and rock is most certainly what it delivers. Media content for the October 2018 issue.